PAUL Burt (pictured) can consider himself a tad unfortunate not to have taken more from his 5-0 defeat by Neil Herd in the Cuestars South Wilts Snooker League. 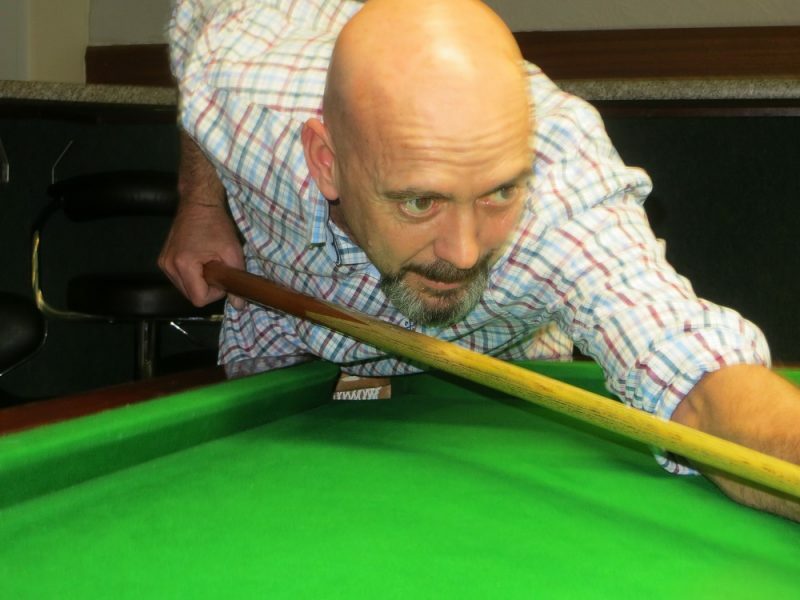 The 55-year-old from Britford compiled a 34 break in the first frame at Salisbury Snooker Club and lost it on the pink. After Herd (Frome) had clinched a 3-0 lead with a 59 clearance, Burt went on a run of 46 in the next and lost that one on the pink as well. Meanwhile, Lee Stagg wrapped up his first season with two victories to secure mid-table respectability. The Fordingbridge cue man beat Burt 4-1 and Steve Ashton 3-2. And second-placed Anthony Rice (Fordingbridge) overcame Neil Carroll (Rownhams) 3-2. Results: Neil Herd 5-0 Paul Burt, Steve Ashton 2-3 Lee Stagg, Anthony Rice 3-2 Neil Carroll, Lee Stagg 4-1 Paul Burt. Outstanding matches: Richard Arnold v David Rice, Richard Arnold v Neil Herd, David Rice v John Hunter.